Prepping for a long summer weekend rarely involves finding time to fit in a workout, and we don’t blame you! Summer is a time to enjoy life more than usual. Whether its drinking and eating at a street festival, partying on boats or wining and dining on a cool summer patio; there’s no reason to deny yourself what you deserve after 265 days of hibernation. At Sweaty Reviews we agree that summer is the time to enjoy yourself, but we’d like to look good doing it! That’s why we’re bringing to you our favorite summer tips and tricks for turning up the heat right before the long weekend. Well this is a no brainer. HIIT cardio is the fastest and most efficient way to burn calories and speed up metabolism by implementing intense periods of plyometric exercises and interval speed work. Substitute one barre or relaxation yoga workout for an extra HIIT class this week and get extra energized for the weekend. Not all yoga is created equal. Power Yoga will help release tension in your muscles while simultaneously energizing your body, giving you the boost you’ll need to enjoy your exciting adventures for the weekend! Studio Recommendations: Power Yoga @ Yoga Six // C2 @ CorePower Yoga (favorite teachers Mar M and Chelsea G) // Hi-Def and Advanced Hi-Def @ Studio Three (power yoga plus strength). Loading up on veggies, fruit and lean protein while limiting carbs and sodium is the fastest/healthiest way to rid your body of bloat and excess fat right before you need to slip into that bikini. Sometimes the monotony of exercise comes not from a boring old run, but following the same routine over and over. If group fitness has been your go to the last few months and your Saturday morning fitness class is just not in the cards this weekend, try to hit the lake front for at least a 30 minute run, bike, or swim. Include short interval bursts of 45 seconds pushing at your peak effort. We all know that commitment is half the battle! Schedule morning classes the day of and after a long weekend in preparation and recovery for the long weekend. When you think of cinnamon and honey you typically think about delicious sweets. But did you know these two items actually have a ton of health benefits? Honey is actually the only food that will not spoil or rot. Though it may crystalize, you can return it to its prior form by boiling water, sticking the honey with the lid loosened into the water, turning of the heat and letting the honey sit. A mixture of honey and cinnamon has actually been known to help cure diseases. So, where has this lovely combination worked? Make a paste of honey and cinnamon powder, apply it on bread instead of jelly and jam and eat it regularly for breakfast. It helps reduce the cholesterol in the arteries and can help save a patient from heart attack. Also, for those who have already had an attack, following this process daily, keeps them miles away from the next attack. Regular consumption of the above combination relieves loss of breath and strengthens the heart beat. In America and Canada , various nursing homes have treated patients in this matter and have found that as one ages, the arteries and veins lose their flexibility and get clogged; honey and cinnamon can revitalize the arteries and the veins. People with Arthritis may drink daily (morning and night) one cup of hot water with two tablespoons of honey and one small teaspoon of cinnamon powder. When consumed on a regular basis, it is said that even chronic arthritis can be cured. In a study conducted at the Copenhagen University, when doctors treated their patients with a mixture of one tablespoon Honey and half teaspoon Cinnamon powder before breakfast, they found that within a week (out of the 200 people so treated) practically 73 patients were pain-free — and within one month, a majority of patients who were unable to move around due to their arthritis began walking without pain. Mix two tablespoons of cinnamon powder and one teaspoon of honey in a glass of lukewarm water and drink. This will destroy the germs in the bladder. When given to a patient with high cholesterol, two tablespoons of honey and three teaspoons of Cinnamon Powder mixed in 16 ounces of tea water was found to reduce the level of cholesterol in the blood by 10 percent within two hours. As mentioned for arthritic patients, when taken three times a day, any chronic cholesterol is said to be cured. Drink honey and cinnamon powder boiled in one cup of water half an hour before breakfast on an empty stomach, and at night before bed. When taken regularly, it can reduce the weight even in people struggling with obesity. Drinking the mixture daily prevents fat from accumulating in the body even though a person may eat a high calorie diet. According to the studies done in India and Japan , it is said that honey taken with cinnamon powder relieves gas. People of South America gargle with one teaspoon of honey and cinnamon powder mixed in hot water first thing in the morning to keep their breath fresh throughout the day. For relief from common or severe colds, take one tablespoon lukewarm honey with 1/4 spoon cinnamon powder daily for three days. This process will cure most coughs and colds, and clear the sinuses. Daily use of honey and cinnamon powder strengthens the immune system and protects the body from bacterial and viral attacks. It has been noted by researchers that honey has large amounts of iron and other vitamins. Consuming honey regularly strengthens the white blood corpuscles to fight diseases. Honey with cinnamon powder helps cure stomach ache and clears stomach ulcers from its root. Taking cinnamon sprinkled on two tablespoons of honey before eating relieves acidity and help digest even heavy meals. Mix three tablespoons of honey and one teaspoon of cinnamon into a paste and apply to pimples before bed. In the morning, wash it off with warm water. If used daily for two weeks, it clear pimples from their roots. Daily morning and night honey and cinnamon powder, taken in equal parts is said to restore hearing. Research in Japan and Australia has revealed that patients suffering from advanced cancer of the stomach and bones have been cured when taking one tablespoon of honey with one teaspoon of cinnamon powder three times a day for one month . Boil four teaspoons of honey, one teaspoon of cinnamon powder, and three cups of water to make a tea. Drink 1/4 cup, three to four times a day. It keeps the skin fresh and soft and slows aging. Applying honey and cinnamon powder in equal parts on the affected parts cures eczema. Studies have shown that honey’s sugar content is actually more helpful than detrimental to body strength. Senior citizens who take honey and cinnamon powder in equal parts are more alert and flexible. A doctor who has conducted research on the matter, says that drinking half a tablespoon of honey mixed in a glass of water and sprinkled with cinnamon daily after brushing your teeth and in the afternoons, even when the vitality of has begun to decrease, increases energy within a week. So, are you a believer? Staying in shape and swearing off cravings is a constant battle, but an even bigger struggle during the holidays. Between work parties, Friendsgivings, nights out and mom’s turkey stuffing it’s truly survival of the fittest. The most important thing during the holidays is to enjoy the time with friends and family; however, striking a balance between healthy, fun and happy never hurts either. Below are 10 helpful tips and tricks for enjoying yourself, while also staying mindful and not derailing the hard work you put in on a 48 week basis. Be realistic with yourself during the holidays. Unless you’re willing to forgo all the wonderful food you wait a year to eat, you’re likely not going to lose a pound during this season. My advice; shred to eat, not lose. Staying in shape involves periods of maintenance and there is nothing wrong with setting a goal to maintain your weight during the next couple of weeks. Don’t skip meals just because you know you will be eating a lot at later. Eating a balanced breakfast and even having a snack before your festivities can greatly reduce a lot of extra calories consumed by feeling ravenous when you get inside the door. Plan time for exercise and make sure you workout a little harder this week and the weeks to come. Working out harder doesn’t mean you have to spend longer hours in the gym. Up your intensity or weight and your body will burn more calories during and after your workout. Cook your own healthy dish! Research a healthy appetizer, veggie or side dish recipe and bring it to the party. Make one healthy and one unhealthy recipe to get your cravings out on the stove. Eat until you’re comfortable not stuffed. Knowing you’re going to eat a lot is a given, but don’t forget to check in with yourself every 30 minutes to see how full you really are. I like to tell myself to wait another 30 minutes before I go for seconds to see if I even want them. Survey the table before going for the kill. Decide what you really want to eat and lightly sample the rest. Stay off the scale for several days. 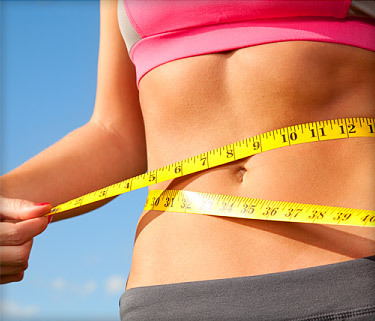 A lot of weight we gain during the holidays is from water and bloat. Weigh yourself a week after your festivities to see what the damage (if any) really is. Watch the calories on alcohol. Starting with a glass of wine is fine, especially if it keeps you socializing vs. eating, but make sure you don’t double your dinner with the calories in alcohol. Enjoy your holiday and worry about the mess later! Happy Thanksgiving from Sweaty Reviews! As a registered dietitian, people always ask me what the ultimate nutrient is, and I always say, with a slight but confident laugh …. Water. Without water, we just can not survive. Our bodies are 60% water and we are constantly losing it when we breathe, sweat, and digest food. It is commonly known that hydration helps maximize physical performance, but it also has major effects on energy levels and brain function. Studies show that even mild dehydration (fluid loss of 1- 3%) can cause an impairment in mood, memory and brain performance. It is commonly recommended that we consume 8-10 cups of water on a daily basis. Regulate kidney function and eliminate toxins from your body: The main toxin in the body is blood urea nitrogen, a water soluble toxin, that is able to pass through the kidneys and be excreted as waste in your urine. Promote digestion: Binding with fiber to bulk up stool and make the excretion process faster. However – when you don’t drink enough water – the colon actually pulls water from the stool – making it harder to excrete and you more uncomfortable. 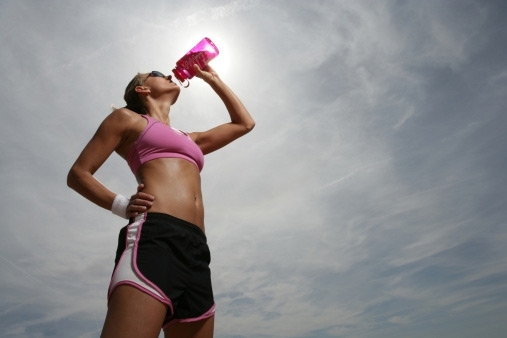 Unless you are working out for an extended period of time (greater than 60 minutes) a sports drink is not necessary. It provides extra sugars that your body is not in need of. Eat your water! : Many fruits and vegetables contain a high amount of water. Cucumbers (96 % water), Iceberg lettuce (95.6 % water), celery (95.4 % water). radishes (95.3% water), tomatoes (94.5 % water), green peppers (93.9 % water), cauliflower (92.1 % water), watermelon (91.5 % water), spinach (91.4 % water). Broth soups also contribute towards a good amount of water – however be careful with soups because they are often high in sodium which can actually cause water retention and result in dehydration. 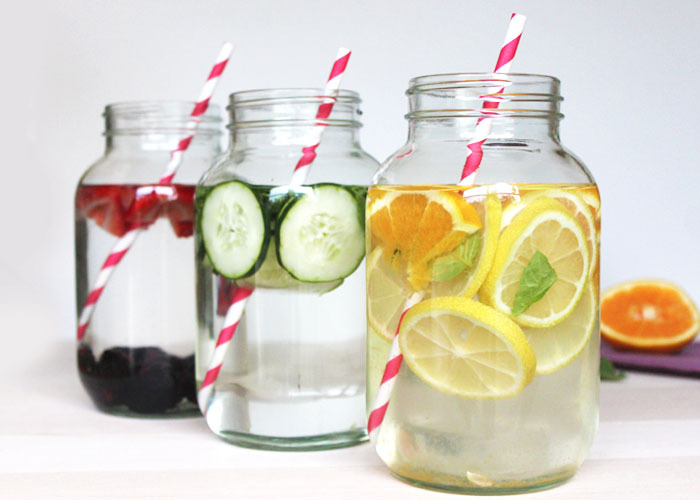 Infuse your water! : Flavoring your water will help to avoid sugar sweetened beverages and soda and also aid to boost your metabolism / add vitamins and minerals from various fruits, vegetables and herbs. See below for some water infusion tips! Vegetables: Cucumbers, carrots, celery, peppers (hot or sweet). Step 1: Take fruits / vegetables – chop and add to glass or jug. Suggest to muddle or slightly mash the fruit / vegetables to release some flavor– Tip: peel citrus fruits from skin to avoid bitter taste. Step 3: Add either filtered or sparkling water – let it sit for any period of time – and drink up! Want to know if you’re drinking enough water?? When you’re happily hydrated: you will have clear urine that is free of odor. Don’t have time for yoga? (Photos: http://www.sophakiccooks.com, http://www.realbuzz.com; Written By: Julie Rothenberg) –> Check out Julie’s website (http://www.julienergynutrition.com) for more nutritional tips from an RD! Fueling before and after your workout is just as, if not more important than what you actually do in the gym. In fact, the most common mistake people make when starting or following an exercise plan has nothing to do with their actual workout. Aside from eating clean, consuming lots of protein and being mindful of carbs and fat, the answer really lies in how well you’re going to treat your body before your workout, in order to stay energized, and after to restore and build muscle. 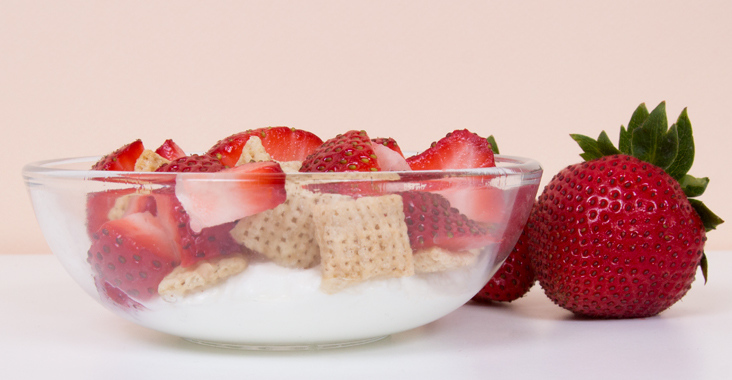 1/4 cup of cottage cheese or greek yogurt topped with 1/2 cup of whole grain cereal (Fiber One and Kashi make excellent choices) and strawberries. Protein shake with 1 scoop of natural whey, 1 cup of strawberries, 1/2 cup of soy or almond milk and 1/2 cup of water. 1 medium apple or banana with 1 tablespoon of all natural peanut or almond butter (go for almond butter over peanut butter whenever possible). 1 piece of protein bread (or whole grain) and 1-2 hard boiled eggs (I usually eat one full egg w/ yolk and one white). 1/2 cup of oatmeal and handful of almonds. Can also do yogurt and almonds. 1/3 cup of quinoa, 1 cup of cooked vegetables (2 cups raw) and 3-4 oz of chicken. This is a great way to re-fuel after a high intensity interval training (HIIT) session. Omelette with 1-2 whole eggs and 3 egg whites, veggies (can choose any but i usually do spinach, peppers, onions and tomatoes) cooked on Pam and served with a piece of fruit. 1 piece of whole grain toast topped with peanut butter and banana. Glass of milk and handful of whole grain salted pretzels… Yes, pretzels and peanut butter! This snack is great after a long-distance run to replenish electrolytes and salt. Protein shake with 1 scoop of whey, 1 cup of fresh or frozen berries, 1 tablespoon of peanut butter and 1 cup of water. 1 orange and 1 hard boiled egg (perfect snack after a low-intensity workout). Rule of Thumb: Carbohydrates should be used appropriately for energy and protein to rebuild muscle. Expended calories vary in each workout so over-eating or under-eating can easily derail your efforts. Listen to your body and stay in-tune to what it’s telling you. If you’re running out of energy during a workout, increase your calories or carbs before hand. If you aren’t building the muscle you want, increase the amount of protein after your workout. When making dinner I always consider three things: Is it healthy? Is it easy? Can I make it without a grill? 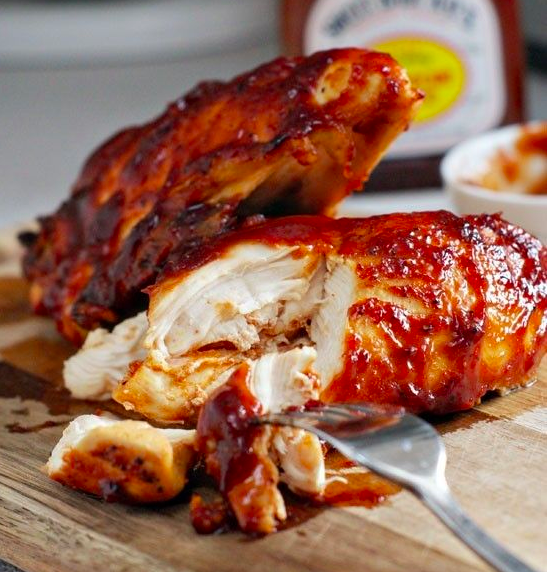 Well, this recipe hits all three right on the head. Keeping a good diet and exercising regularly is essential in maintaining a healthy body weight, but what do you do if you want to jump start a diet, shed extra pounds in a short amount of time or just flat out recover after a week of poor eating? When it comes to diet and nutrition, lifestyle changes are key. No fad diet, starving streak or over-compulsive exercise plan will take the place of what it takes months to achieve. However, when you’re in a bind, it helps to know some fast and easy ways to maximize your efforts and burn fat faster. Do Cardio In The Morning- A trick used by bodybuilders to shed extra weight around competitions, “fasted cardio” is a way to get your body to burn extra fat stores by maximizing on the low insulin levels that occur after you’ve been sleeping. By doing cardio first thing in the morning on an empty stomach, you’re essentially forcing it to break down fat and protein vs. the food you just ate. High intensity interval training for 15-20 minutes or low-to-moderate intensity steady-state cardio is recommended. However, this should not take the place of your daily workout. Eat As Raw As Possible- Rather than spending hundreds of dollars and depleting your body’s energy stores with sugared up juice cleanses, eat foods that are clean and raw. It is a big misconception that your body needs a juice diet to rid itself from unwanted toxins. Eating raw food allows your system to naturally cleanse itself by breaking from processed foods. Examples of raw foods include; fruits, veggies, whole grains, untouched proteins, oats, nuts, herbs and spices. Decrease The Amount of Carbohydrates– If you’re active, it is almost impossible to do a no-carb diet for very long. However, decreasing the amount of carbohydrates in your diet and even staying clear of them for a day or two, will help you reduce bloat from gluten and other allergens. If you must incorporate carbs, make sure they are whole grain and eaten with protein. 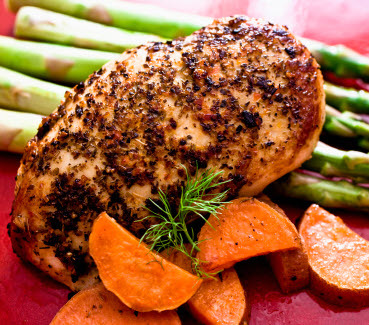 Eating a carb and protein together allows your muscle to absorb the protein faster and keeps you full for longer. Start Your Day With Lemon Water– This is one of those weight loss tips that is not a myth. Lemons are acidic, but once they’re metabolized they have an alkalizing effect which aids in detoxification. Drinking a warm cup of water with squeezed lemons is recommended in the morning to help start the digestive process. You should also stay hydrated throughout the day to keep your body in flush mode. These tips are safe and effective to incorporate when trying to shed extra fat and maintain a healthy/fit lifestyle. Who Are They? Hi-Vibe Superfood Juicery is a progressive juice company that offers cold pressed juices, cleanses and so much more! The urban style shop, located in River North, guarantees high quality products and ingredients for a unique juicing experience. Their quality guarantee comes from the ‘intimate selection of suppliers and produce,’ ensuring some of the best hand-picked ingredients aground with no middle man in the process. What To Choose? From juice fast to juice cleanse to everyday juicing there is really a lot of controversy surrounding the topic of juicing posing a surreal question; is juicing really good for you? Just like anything else, moderation is key. That is why I asked Nick (Hi-Vibe owner) to help direct me in selecting a juice that fit with my lifestyle; high in protein, low in sugar! Extras: The Hi-Vibe cafe is one of few juices shops in the area that sells cold pressed juices, cleanses, acai and pitaya bowls, superfood smoothies and Bulletproof coffee. Juice cleanses can be picked up or delivered with a $60 minimum. Samples of juices are available upon request. The staff are some of the friendliest people around and you’re likely to run into the owner on most days. Would I recommend? I would absolutely recommend working in a nutrient dense juice or protein packed smoothie after any workout on a daily basis. My only issue with Hi-Vibe is that the pricing can get a little steep. However, the quality of the products and the customer service of the team is nothing but excellent (you get what you pay for!). On that note, I can honestly say that Hi-Vibe is more of what this city needs. Butter My Coffee?… Butter is not a carb, but is it really the new cream and sugar? Although I may be knew to the game in discovering Bulletproof coffee, I cannot really say I’ve heard of many people blending butter with their coffee. However, with extremely attractive health claims this drink had my immediate attention. What Is It? : Bulletproof coffee (branded by Dave Asprey) is a special recipe that blends upgraded coffee beans (low in mycotoxins), un-salted grass-fed butter and “Brain Octane” (something like coconut oil from my understanding) for a smooth buttery tasting cup that sips much like a latte. The combination apparently triggers your body to burn more fat than it normally would throughout the day. It is also said to have better effects on sustaining energy, eliminating the ‘crashing effect,’ and improving cognitive function by helping you think more clearly. The thought behind blending fats with coffee is that if you’re kickstarting your metabolism to burn fat first thing in the morning, much like a morning workout. The claim that you will have greater energy and improved thinking comes from the idea that mycotoxins are difficult to break down and can make you sluggish. Does it work? The controversy behind this concoction is that there is no concrete evidence to support the claims of this drink. However, drinking buttered coffee is a phenomenon practiced in various parts of the world, and is really not of any great health risk (aside from additional calories). After drinking a cup, I felt extremely awake and alert. I also felt satisfied, as my hunger levels were sustained from the fat content. Extras: Bulletproof coffee requires special preparation and is sold in select shops (Trader Joes) and restaurants (Beatrix). I tried my first cup at Hi-Vibe Superfood Juicery in River North (http://www.hi-vibe.com). The owner of Hi-Vibe is Nick Boskovich who is extremely knowledgeable about health products and ingredients. All of the ingredients used at Hi-Vibe are completely organic. Aside from Bulletproof coffee, they sell cold-pressed juices, acai & pitaya bowls and superfood smoothies. In addition to coffee, I will definitely be returning to Hi-Vibe for more great vibes and protein packed juices/smoothies. Would I recommend? Yes, as a regular coffee drinker, I see no great risk in trying Bulletproof coffee over regular. In fact, I felt much less jittery and more alert than my ‘venti’ Starbucks.’ Sure there are additional calories, but you will also feel slightly more full. Who Are They? Door to Door Organics is an online grocery service that delivers Farmers Market Produce right to your doorstep. They work with local farmers and vendors to offer the highest quality and freshest food and produce right to your door. 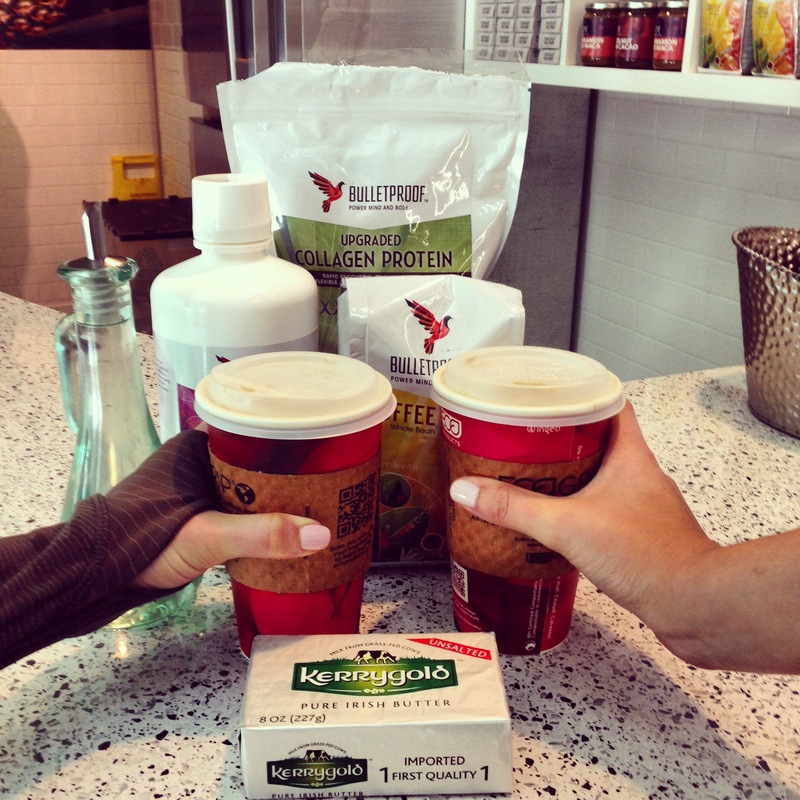 All of their products are USDA Certified Organic and sourced locally whenever possible. 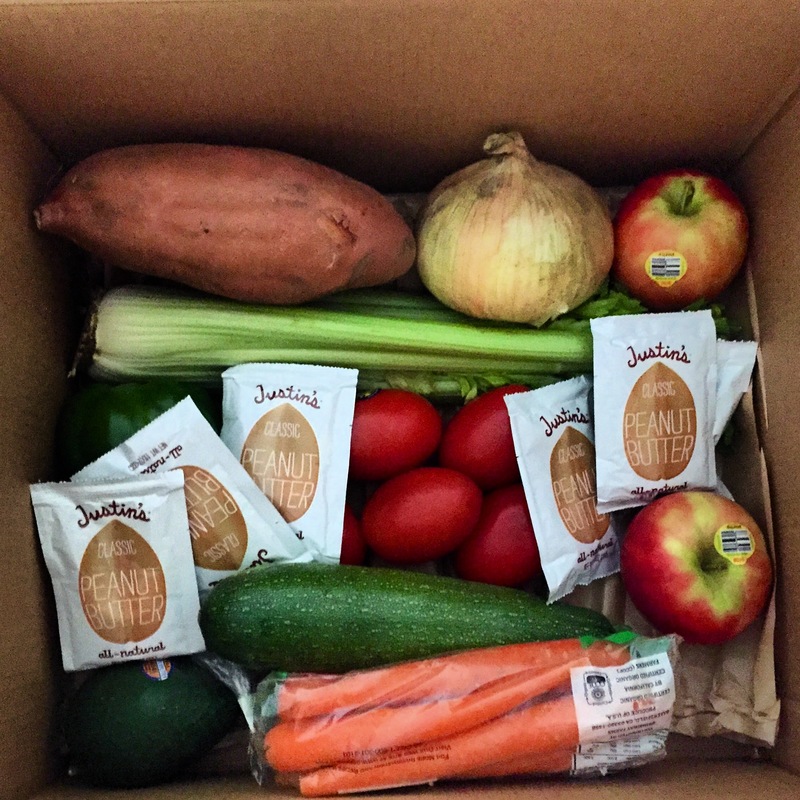 How It Works: The service allows you to customize a Seasonal Produce Box arriving weekly or bi-weekly with an option to substitute 5 of the items. Size of boxes ranges from Bitty (single person cook) to Large (satisfies the needs of any family). Once you choose a box plan, you are able to select a delivery date for the following week. In addition to receiving a customized box, you are able to shop the online grocery store which has all your major essentials (produce, meats, cheeses, deli, bakery items, dry/frozen goods). You are even welcome to customize a meal plan with the various recipes housed in the Door to Door Kitchen. Once you have chosen a recipe you like, you can view the ingredients and select accordingly. Favorite items can be placed in your re-stock box, which makes shopping convenient. Grocery boxes are sent out and delivered the same day. I asked mine to be delivered to my doorman, who unfortunately was not able to refrigerate the contents until I got home. However, my box was kept cool with special packing techniques and ice packs. Requests can be made for specific delivery times/instructions. Delivery is FREE and there is a quality guarantee on each item. Organic Pink Lady Apples- These are my favorite kind of apples. Although apples are high in sugar, they keep you full and serve as a great snack or glorified dessert. Organic Carrots 1lb- Carrots are the perfect snack when ravenous and wanting to make poor choices. With the little amount of sugar, they satisfy my cravings and serve as a nutritional alternative to other snacks. I love dipping mine in hummus. Organic Sweet Yellow Onion- My favorite smell in the world is onions sauteing on a pan. I love to chop yellow onions and add them to any dish I’m cooking for dinner. Organic Roma Tomato- Tomatoes are extremely nutritious and high in antioxidants. They also taste delicious and add flavor to almost anything you eat (I love to throw mine on top of lettuce for a salad or in an omelette for an added flavor kick). Organic Zucchini Squash- I love to eat zucchini plain or grilled as a snack (also great when dipped w/ hummus). Organic Avocado- I am in love with avocados for many reasons. Aside from being delicious, avocados aid in weight loss, as they are the necessary type of fat your body needs for fullness and satiety. Fat also helps burn more fat. Organic Sweet Potatoes- Sweet potatoes have many wonderful nutrients, but most of all they are high in fiber. I like to pair a small sweet potato with any protein for a well balanced meal that’s easy on digestion. Organic Green Bell Pepper- Goes well on the pan with those onions and in any omelette or egg dish. Organic Celery: Great for snacking. Why I chose to try it: Proper diet and nutrition is without a doubt as important (if not more) than exercise for achieving weight loss and a healthy lifestyle. Even working out 7 days a week will fail you if you do not have the proper diet. However, in an age where almost everyone is staying fit, there couldn’t be more conflicting advice about meal plans, diets and the nutritional value of food. One concept that will never fail is eating clean. Eating clean refers to eating foods that are whole and not tampered (i.e., grains, meats, vegetables, fruits, good fats). The benefits of eating clean extend further than weight loss and are even argued to be more important in shaping bodies than actual exercise or genetics. Finding the right balance between food and exercise has always been high on my priority list. As a working and busy individual, I sometimes find it hard to eat right, especially when convenience is compromised. The service at Door to Door Organics truly makes it easy and affordable to get a weeks worth of essentials to your door. It also takes the leg work out of carrying all those groceries. Would I continue to use it? Yes, but sparingly as I am able to make it to the grocery store/market most days of the week and sometimes enjoy picking my own produce.